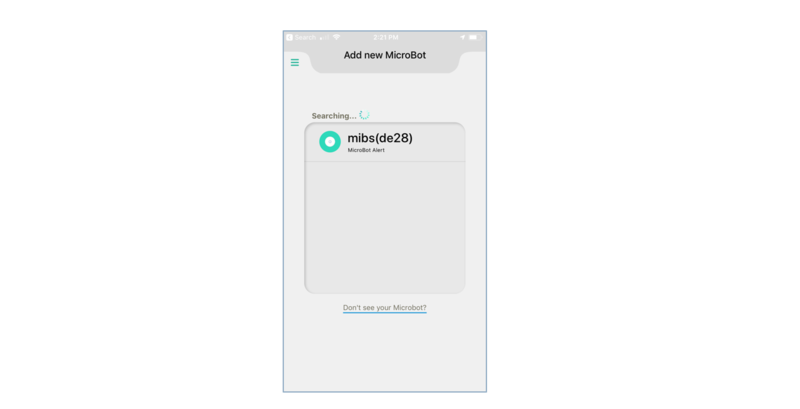 Check that your phone or tablet Bluetooth is ON, your Location is set to Always allow MicroBot to access via your phone settings and that notifications are on. Check that your phone or tablet has an internet connection. 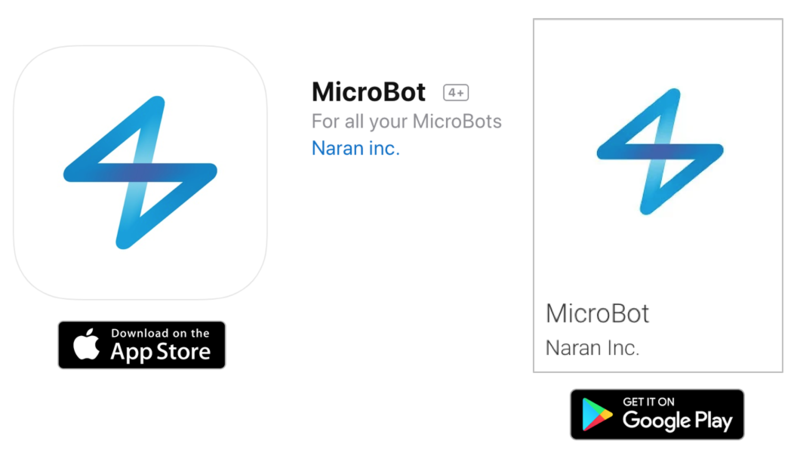 Check that you are using the latest MicroBot app (iOS or Android) and NOT the MicroBot Push app. 4. Check the left bar menu. There should NOT be any MicroBots listed. If there are MicroBots listed as "Offline", and your MicroBot blinks BLUE when you touch it, it's possible you reset your MicroBot but the app still thinks it is paired. You will need to unpair the "Offline" MicroBot by following instructions in this article. 5. When you touch your MicroBot, the LED should flash BLUE. This means it is ready to connect. If it does not flash blue, follow the instructions in this article. 6. If your MicroBot is flashing a different color, please see this article. 7. If you satisfy each of the conditions listed above, you are ready to pair. You can swipe right to access the *Add new MicroBot* searching block or tap the '+' icon. 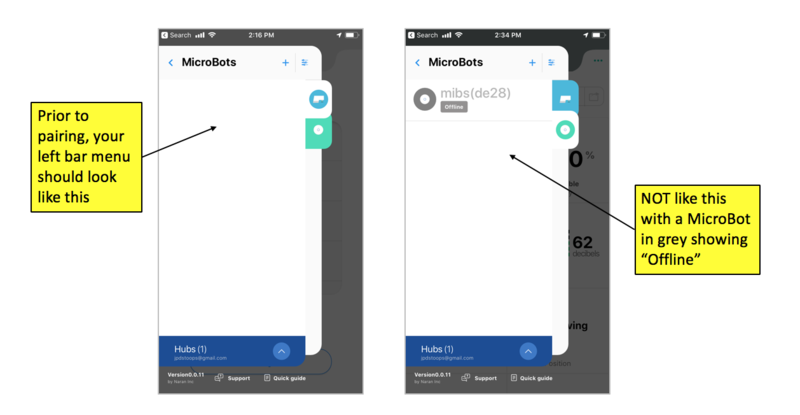 From there, you should see your MicroBot come up in the app when you press the button on top of the MicroBot. Tap the MicroBot on screen and touch the button on top of your physical Microbot. When the flashing lights match, touch the button on top of the physical MicroBot and pairing is complete. 8. Once paired, check to see if you have the latest firmware by following the instructions in this article. If this does not work, please reach out to us at suppart@thenaran.com. It's helpful to see screen shots or recorded video of what you are experiencing.